and can be personalized with any birthstone combination. Our Lindsey mothers bracelets feature genuine Peridot gemstones and freshwater pearls. unique and sometimes have slight variations from the images shown. 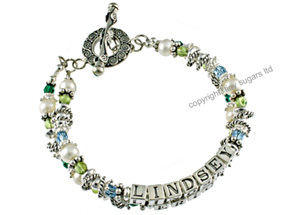 Each Lindsey mothers bracelet is created by hand based upon your personal request.